With the UK’s stance on leaving the European Union as clear as mud, The Spirits Business speaks to spirits stakeholders about how they are planning for all possible scenarios. 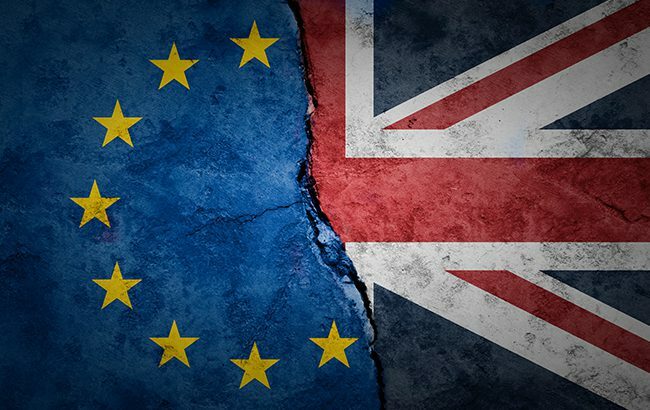 In June 2016, the Brexit vote sent shockwaves through the UK electorate and political sphere, kicking off a long period of uncertainty for a wide range of industries. The Withdrawal Agreement, a deal that was agreed between the UK government and the European Union (EU) on how to implement Brexit in November 2018, has been overwhelmingly rejected in the House of Commons three times in the weeks running up to the scheduled exit. Brexit is something of a moving target at the moment. The departure of the UK from the European Union was set to take place on 29 March. Following UK prime minister Theresa May’s request for an extension to Article 50, the European Council pushed the deadline back to 12 April 2019. On Monday 25 March, MPs voted in favour of Conservative backbencher Sir Oliver Letwin’s cross­-party amendment, which allowed MPs to put forward motions relating to Brexit. However, the attempt was fruitless, and after several hours of debate, none of the eight options put forward gained a majority vote by MPs. May said she would resign ahead of the next round of EU negotiations if the deal is approved, and hopes to put her plan to a fourth vote. At the time of writing, the Brexit process remains in gridlock as MPs struggle to find unanimity on the next steps. The impact of a no­-deal Brexit on the spirits industry would be significant. There remains much uncertainty for the sector, with many unanswered questions. Miles Beale, chief executive of the Wine and Spirit Trade Association (WSTA), warns that a no-­deal Brexit “is the worst-­case scenario” and “maximises the chances of disruption quickly”. Ulrich Adam, director general of trade body Spirits Europe echoes the WSTA’s sentiment. “We want to avoid no deal and have an orderly Brexit with frictionless trade,” he says. In the event of a no­-deal Brexit, UK products would no longer be able to register under the EU GI framework. If the UK exits the EU without a deal, the government said it would set up its own GI legislation to protect UK-made products that are currently covered by the EU’s regime. Under the contingency plan, all 86 GI­-protected products from the UK would be “given new UK GI status automatically”. However, GI products from the EU would not be automatically covered by the scheme and EU producers “would be able to apply for UK GI status”. Drinks companies are already reportedly stockpiling in preparation for a no­-deal Brexit, including spirits giant Bacardi and French companies Pernod Ricard and LVMH. The WSTA has been advising members for more than a year to increase their stock by 20% as a starting point in case of a no­-deal Brexit. “We say to them plan for no-­deal, plan for the worst possible scenario,” Beale advises. However, there was some reassurance for spirits producers. The UK government announced that tariffs would be temporarily abandoned or slashed on almost all imports in the event of a no-­deal Brexit, and there would be no checks at the Irish border. “Although we certainly think no­-deal is a terrible idea, the only advantage of it is that you would know exactly what these new tariffs would be for other products,” adds Beale. The WSTA has also cautioned that a no­-deal Brexit would mean the UK would lose access to the EU’s excise movement control system (EMCS), which tracks alcohol coming into and going out of the country, and which documents shipments electronically. Tom Warner, co-­founder of English gin producer Warner’s, believes Brexit will cause an economic downturn. “People will have less money in their pockets to spend on premium spirits, and that really changes the dynamic of the category,” he says, adding that he believes consumers will move to cheaper bottlings instead of buying premium spirits. When it comes to juniper stocks, Warner says most botanical suppliers have “thought ahead”. He adds: “We’ve been working with our botanical supplier and they have two 18­ month supplies in UK warehouses ready to go. Most gin is made from dried botanicals so the benefit is you can store them for quite a while.” To prepare for Brexit, Warner’s has ensured it has a large supply of stock and advised customers to buy ahead. Brexit has also “severely curtailed” an expansion project at the distillery’s Falls Farm site in Northamptonshire. “We’re still expanding but it won’t be quite as shiny and amazing as it could have been. It’s about necessity and functionality, rather than making it an amazing visitor experience,” Warner says. Distillery tourism could also be affected, the distiller claims, with holidaymakers “put off coming to the UK” due to the difficulties Brexit could create. Warner’s is also worried about its staff, which includes two distillers, one from France and one from Greece, along with many eastern European employees working in the bottling hall. “We need to make sure that they are secure in their jobs and that they have the right to remain,” Warner notes. Spirits Europe’s Adam believes that if there is no deal, the spirits industry “wouldn’t fall in an uncontrolled manner” compared with other more “complex” sectors such as perishable goods and industrial goods, including cars.